Be sure your personal branding materials clearly tell your story and articulates your value. Beth has an editor’s attention to detail and was able to complete my project under short time constraints, She asked thought provoking questions and independently researched certain areas. Beth’s creativity and finesse resulted in a superb finished product. I highly recommend Beth and will work with her again! 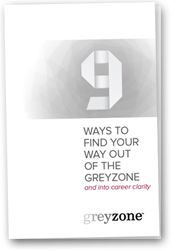 Claudine D.
greyzone partners with Beth Kujawski – seasoned writer, editor and former Chicago Tribune editor, to help you craft a document that provides the context and detail that tells the story of your career, rather than merely listing high-level accomplishments. As I had not updated my resume in 10 years (and a lot had changed in terms of technology and resume structure during this time), Beth was able to work very quickly to help me create a compelling, well organized resume so that I could quickly proceed to a job search. I appreciated how responsive Beth was to all of my questions. She took what was basically an outline of my work experience and created an impressive resume that highlighted my strengths and presented a “brand.” Beth was a pleasure to work with and I would strongly recommend her services. I am extremely pleased with my revised resume. Working with Beth mirrors the comments you currently have from other clients and then some. Her personality and ease discussing where I wanted to take my resume’s story was second to none. She was patient and offered great suggestions on how to navigate through my work history. I would recommend her highly. Kathy C.
Mick Jagger once said, “we all need someone we can lean on.” I came to Beth for help with my resume–a document I hadn’t touched in nearly two decades. I’ve never liked my own resume because it never told the right story about my career arc and certainly didn’t set me apart as someone who should be hired immediately and with great pay. Working with Beth was a joy. I found her easy to talk to and easy to understand. Her suggestions and thoughts produced a clean resume and I am proud of it. I am grateful for her work and glad we met! Beth was awesome and did an impeccable job in transforming my resume. Thanks for all your help Beth! Carolina C.
Let’s kick off your resume project. Contact us and we’ll set up a time to get things started.